Manchester United comeback from two goal down to thrash Newcastle United 3-2. Newcastle took the lead in first 10 minutes, with goals from Kenedy and Yoshinori Muto. Manchester United quickly arouse themselves with Marcus Rashford heading wide from five yards, but also needed David de Gea's excellence to deny Muto his second and a potentially decisive third for Newcastle. 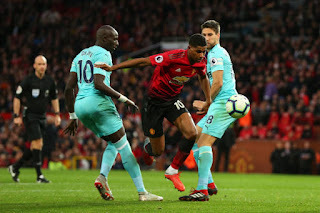 Jose Mourinho brought in Alexis Sanchez, Juan Mata and Marouane Fellaini off the bench in pursuit of victory, saw his side reenergised after the break, when two of his three substitutes found the net. 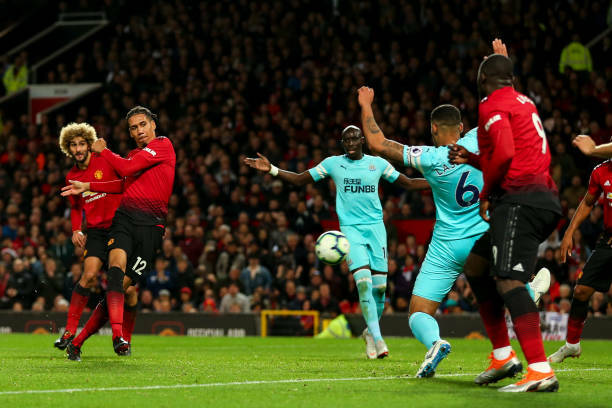 As Newcastle dropped deeper, Mata swept home a free-kick with 20 minutes left to trigger an onslaught on the visiting goal. Martial curled home six minutes later from Paul Pogba's pass and, after goalkeeper Martin Dubravka pawed away Chris Smalling's effort, Sanchez delivered the winner in the last minute of normal time, heading in Ashley Young's cross.